The opening of the as-yet-untitled Star Wars: Episode VIII has been moved seven months, from May 26, 2017, to Dec. 15 of that year, Disney and LucasFilm announced Wednesday. Instead, Disney will launch Pirates of the Caribbean: Dead Men Tell No Tales the day the next Star Wars installment was set to be released. With Johnny Depp returning in the role of Captain Jack Sparrow, the Pirates movie was scheduled for July 7. Given that Star Wars: The Force Awakens was a huge December success, Disney insiders commented that Episode VIII should be given the same Christmas treatment. Directed by J.J. Abrams, Force Awakens has made over $1.8 billion worldwide. In North America, the film hit a record $852.3 million. Rian Johnson, known for his work on the dark sci-fi thriller “Looper”, wrote the screenplay and will be directing Episode VIII. 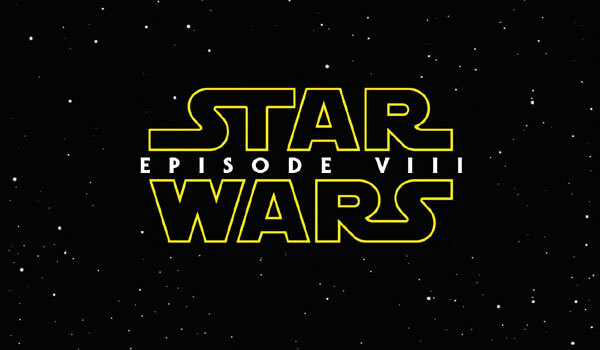 Co-writer Lawrence Kasdan told the Los Angeles Times that the next movie would be weirder than The Force Awakens. Jeff Sneider from The Wrap reported that the Episode VIII script was being rewritten in order to reduce screen time for certain new characters and give Rey, Boyega’s Finn and Isaac’s Poe Dameron even more attention. That could also explain the delay of the release. Abrams told Wired that the script had been rewritten once during filming for The Force Awakens and suggested that it wouldn’t be the last time. The next Star Wars release will see the return of the main new characters introduced in The Force Awakens, interpreted by Daisy Ridley, John Boyega and Oscar Isaac. Set to play the role of Luke Skywalker, Mark Hamill also confirmed his appearance. Disney and LucasFilm also announced that principal photography would start in London next month. Some scenes have already been filmed on Ireland’s Skellig Island, where the final scene from The Force Awakens was staged. Steven Spielberg and Warner Bros are not likely to welcome the news that Episode VIII will now open Dec. 15, since they are set to release Ready Player One on that same date. Croods 2 and The Six-Million Dollar Man are scheduled for a week later on Dec. 22. Just a few minutes after Disney changed the release dates for Star Wars and Pirates of the Caribbean, Sony announced it was moving up the opening of Spider-Man from July 28, 2017, to July 7 that year. The company also pushed back Jumanji from Dec. 25, 2016, to July 28, 2017. Facebook presented ‘Sports Stadium’ for football games in the U.S.